Welcome to Hooked Up, the Gaming Nexus series that puts the spotlight on gaming related products that impact the Video Game experience. This week we take a look at NZXT’s Cryo E40 Notebook Cooler. 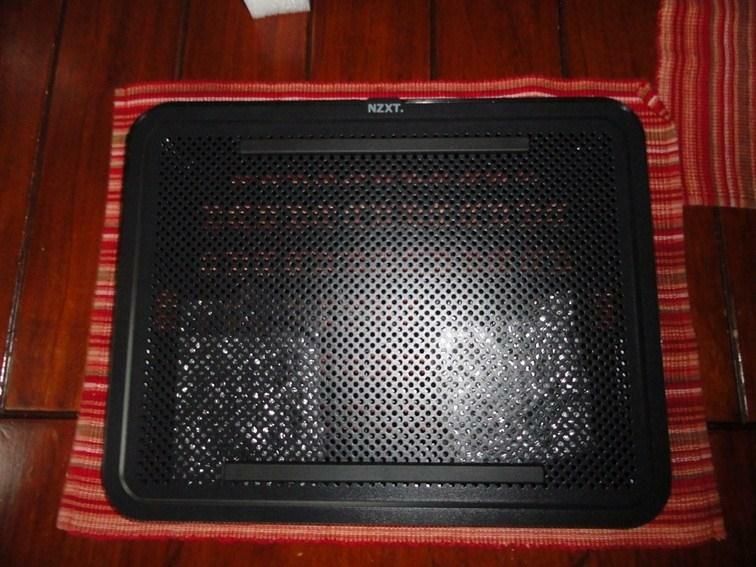 The NZXT Cryo E40 Notebook Cooler is a lightweight and inexpensive laptop cooling system with movable fans. 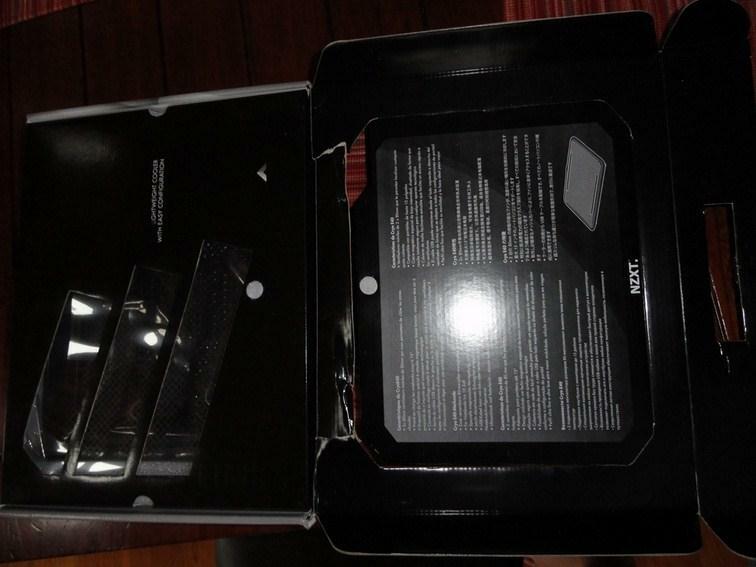 It comes with a plastic and metal frame, dual fans that connect by magnet and a single USB connector to the laptop for power. When I first came across the Cryo E40, it hadn’t even been declared an official product yet. 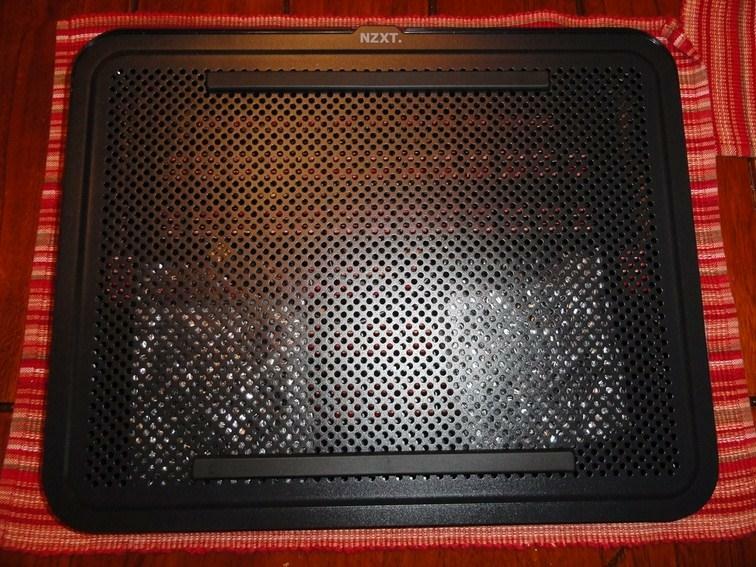 It was tucked into the lineup of developmental products that NZXT was showing off at their suite during the 2012 CES. I was intrigued by it, as my laptop had been overheating at the show while editing and uploading video earlier in the week. Since I received it for review, I went from intrigued to impressed, as the Cryo E40 was a perfect match to my ASUS 14.1” gaming laptop in both size and need. Prior to the Cryo E40, my laptop had been overheating during excessive gameplay or video processing (editing) and shutting itself down. Even after installing a laptop cooler that had fixed-position fans, it still would overheat and shut down about once a week. 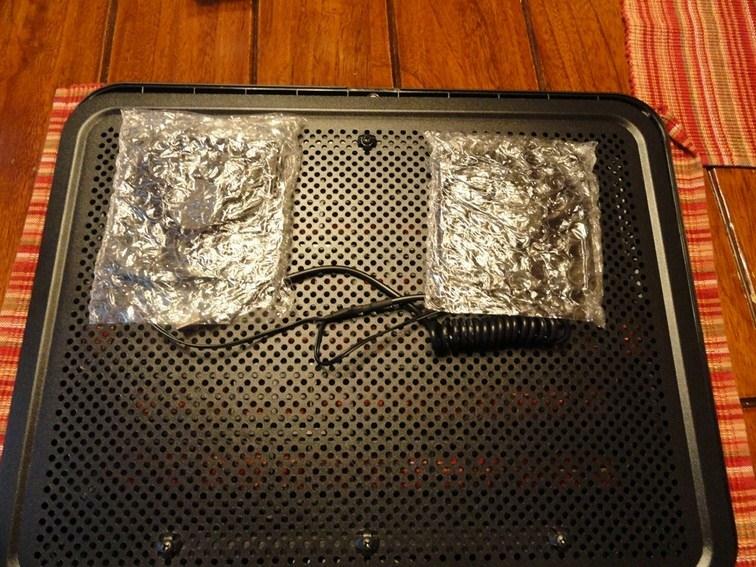 However, since the Cryo E40 has been put in place, my laptop has not once overheated or shutdown. As far as the look and feel, the E40 looks like it costs $20 more than the $29.99 MSRP price, as the high-gloss black plastic base and flat-black metal gill has the look of an expensive accessory. It is very easy to setup, with fan placement taking no more than a minute and connecting with a traditional USB cable. 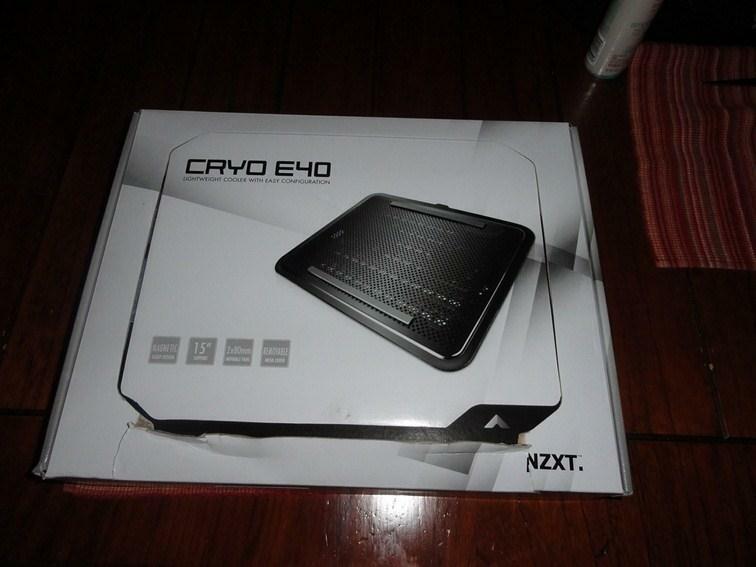 Overall I couldn’t be more thrilled with the Cryo E40 and its performance with my laptop. I will caution that anyone sporting a larger (over 15.6”) should look for a different option, as the Cryo E40 will probably not meet your needs due to its size. With any product that is more an accessory to the hardware than directly impacting the gaming, the Cryo E40 is an essential item for anyone putting stress on their laptop while gaming. 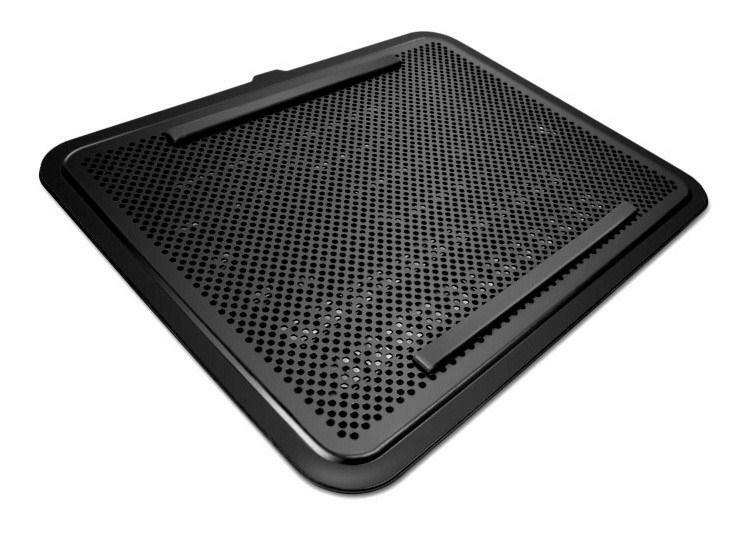 The great thing about the Cryo E40 is that it put the fans right where you need it, so if your laptop case is heating up near the battery, GPU or both while gaming, you can direct the air from the fans squarely onto the case at that hot point or into the nearest vent. 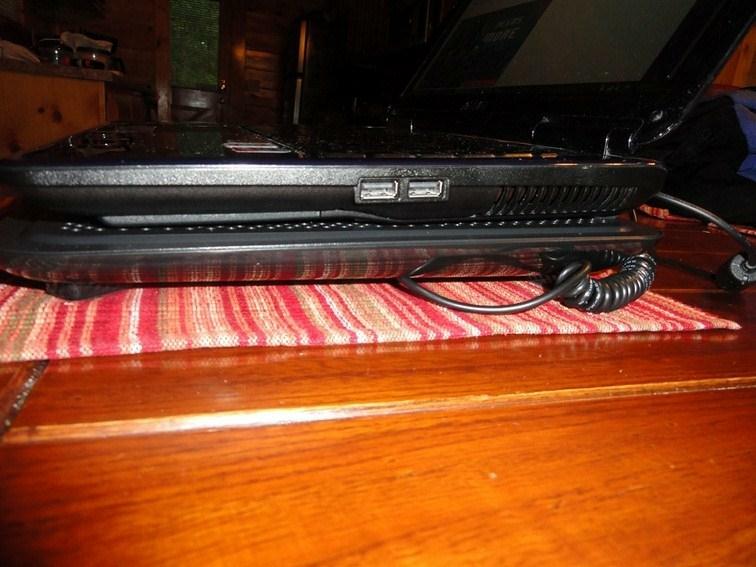 The amount of air it moves has kept my ASUS Gaming Laptop very cool since I started using the Cryo E40. 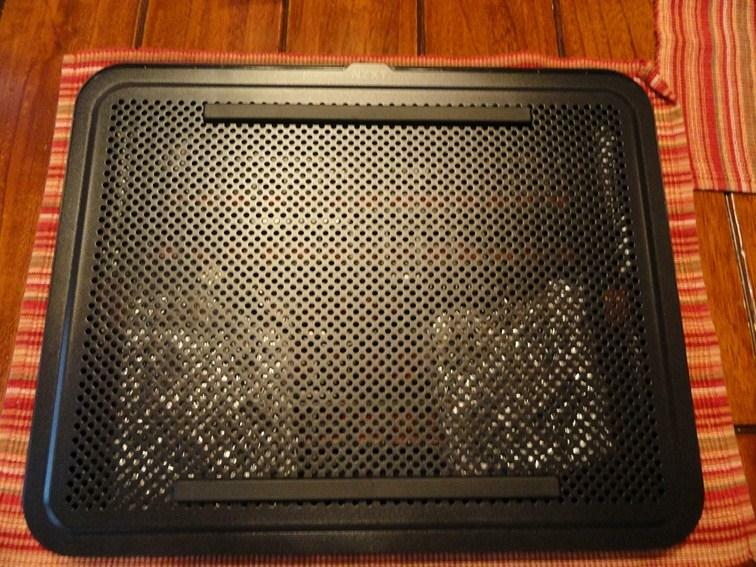 While playing Guild Wars, Portal or Team Fortress 2 the Cryo E40 has kept it very cool, whereas my previous laptop cooler did not provide exact coverage of the vent openings and lead to overheating during gameplay or heavy video use. The NZXT Cryo E40 is the perfect complement to any laptop that is 15.1” or smaller. 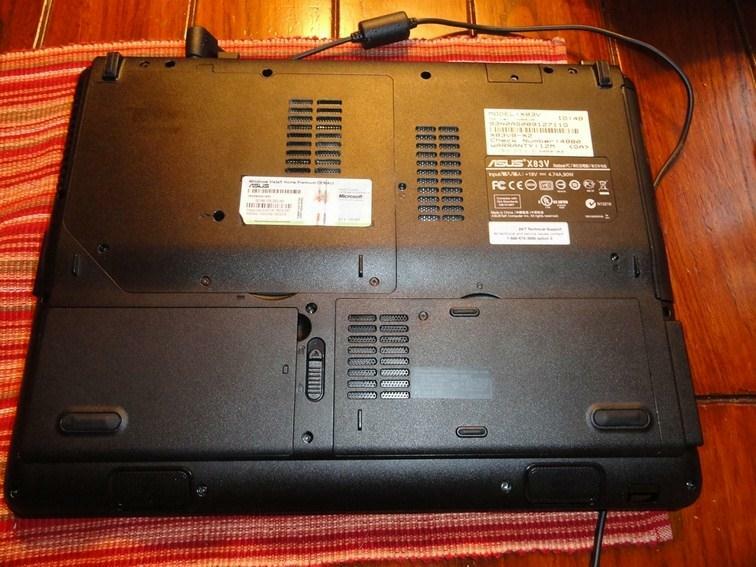 The adjustable location fans are almost a necessity with today’s laptops and they move significant amounts of air. 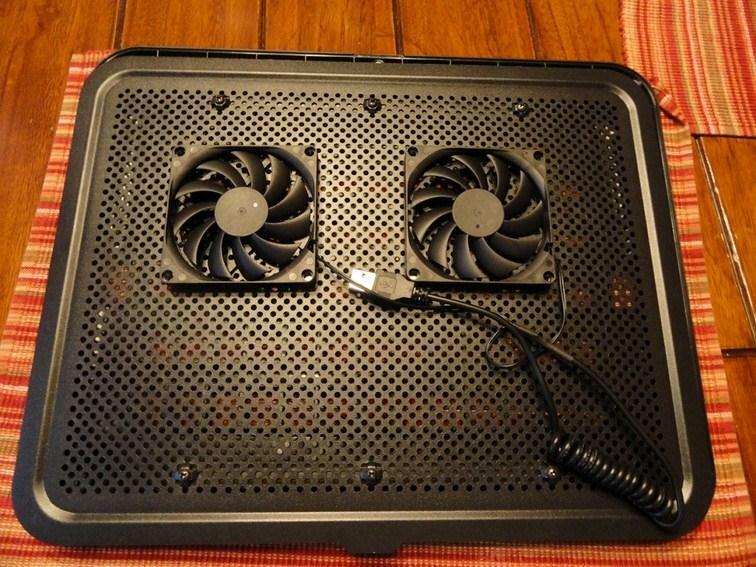 The price point is well below what this cooler “looks” like it should cost, and it performs exceptionally well for the money you will invest in it. For me, it boils down to whether or not the CRYO E40 does what it is supposed to do, and the answer is a resounding yes. Since I installed the E40 with its adjustable fan placement and retired the fixed-mount fan cooler I previously was using, my laptop has not once shutdown to overheating. The NZXT Cryo E40 was tested with an ASUS 14.1” gaming laptop. The Cryo E40 fans were positioned directly below one vent and evenly split over two other vents. The NZXT Cryo E40 Notebook Cooler can be purchased for $27.99 from Amazon or $29.99 from newegg. If you have a gaming related product or accessory that you would like to see featured in Hooked Up, please contact the Author regarding inclusion.